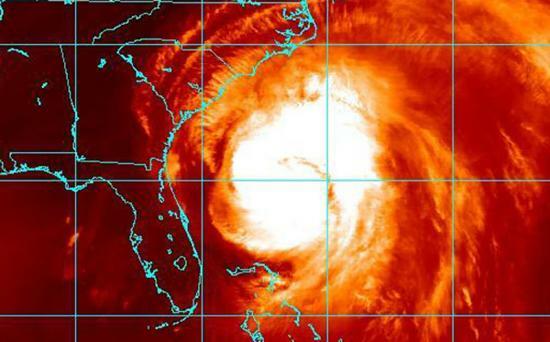 Hurricane Irene wants to shake us all night long, are you properly prepared? With Hurricane Irene knocking on the door of many east coast residents, several of us will be left hoping and praying that the power doesn't go out. While most of this may be common sense to you, we here at CrackBerry.com want to ensure that each of you are kept safe, so let's look at a few reminders to keep you safe. Got batteries? Charge them. Every single battery, spare, extra spare, the one that is under that inch of dust, yes all of them. Odds are with a storm like this power may go out, and who knows for how long, so be prepared, charge everything you can. Car charger, if you don't have one, run out and try to grab one. While it may seem silly, your car can still charge your phone without power in your house, you will be thankful later. Use SMS/BBM to keep in touch, it is often more reliable than the phone networks, they will be super congested, keep safe, use messaging. Use your device to take pictures and document any damage that occurs, if you don't already have one, set up a private online album or storage location where you can keep them safely. Your insurance company will thank you later, big time. Download a flashlight application. Sure you probably got a few flashlights, but since you will have your device around one extra won't hurt any. Be mindful of others, refrain from any OS or BBM upgrades or rebuilds that would cause them to drop and rejoin any BBM Groups that they belong to. There will undoubtedly be widespread loss of power for extended periods of time (possibly up to 8 days), Anyone in the path of the storm is at risk of power failure and their BlackBerry may be their only means of communication, their only lifeline. In order to make sure that cellular communications networks are available for first responders, communicate as much as possible via BBM, SMS, and e-mail, rather than by making mobile phone calls. BBM has been noted many times to work when cellular services fail, use it and leave cellular services open to those who need it most. Our pals at Android Central have received some great comments from their readers, be sure to head over and check those out, and share any tips with us that you think others can benefit from. Source: Android Central; Thanks, to rrrebo, SCrid2000 for the additional tips!